We help educational institutions adapt to the rapidly changing landscape driven by technology. 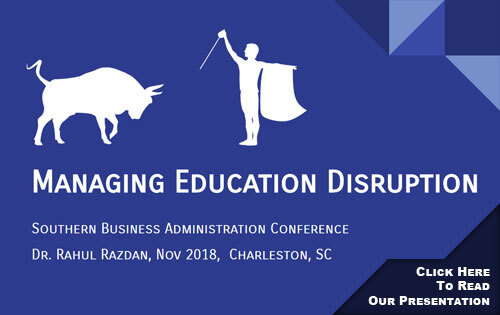 During our presentation at the SBAA meeting, we discussed the current stressors for colleges in the modern day and some potential solutions that would not only alleviate that stress but help to improve these institutions of higher learning and better prepare them for the change that is the future of education. (01/18/2019) Executive Summary:K-12 education is at the bedrock of the American education system and today, it is struggling. All the players (students, teachers, parents, government officials) have benevolent intentions, but the critical drivers for this lack of success are often misunderstood. Further, the bureaucracies involved are so large that any meaningful change is difficult and of course, the political considerations make the process of change even more difficult. In this policy brief, we discuss the current education system, its inherent limitations, and then propose three very specific policy remedies which provide a mechanism for fundamental change. These three policy imperatives are:Funding: Funding must follow the child and not institutions. Certification: Certification must be independent of method of delivery.Facilities: Facilities and Academic Function must operate independently.The implementation of these policies will have the following positive outcomes:Academic Services Marketplace: A richer marketplace will be enabled which can focus on driving down cost while raising quality. Student Choice: Students and their parents will have much greater choice in accessing the intellectual assets offered from the world. Local Resource Optimization: With this structure, there will be a much greater optimization of local physical assets.While this policy brief focuses on K-12 education, these bedrock policy principles have clear applications for post-secondary education, career services, and employment training. Finally, we observe that Gov Jeb Bush’s foundation, Foundation for Excellence, is the closest in advocating policy changes aligned with this point-of-view. Background:Economic Underpinnings:The fundamental structure of the public education system is built on the three core ideas:Teacher: The teacher is the knowledge bearer and is a scarce resource.Classroom: The transfer of knowledge happens in a physical setting called a classroom and that is also a scarce resource.Craftsmen Model: The method of knowledge transfer is a craftsman like model owned by the teacher. 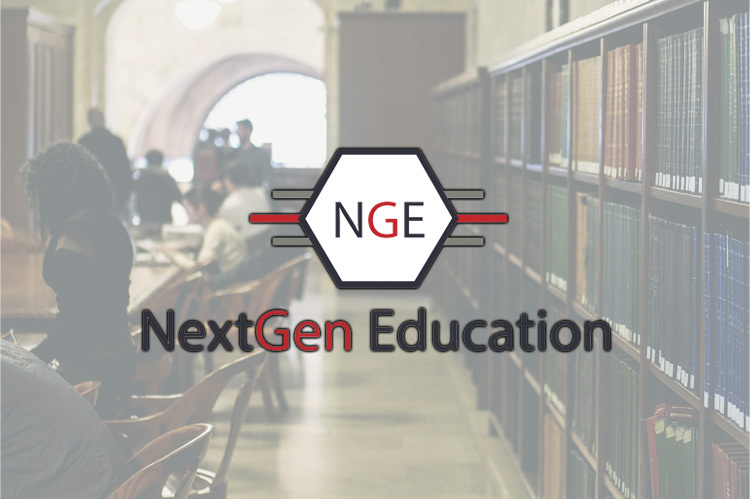 As discussed in our TEDx talk and on articles at website (www.nextgenedu.net), when these economic structures were true, the current structure of the education system is a reasonable response. However, todayTeacher: large parts of the teaching task can be automated to make the teacher much much more productive. Classroom: With virtualization, the classroom is no longer a scarce resource. In fact, any student with a cell phone can have access to quality instruction.Craftsmen Model: The craftsmen model can be significantly improved with the capture of process IP, instruction IP, data mining, and science of learning innovation. This is no different than any other sector which optimizes its processes to improve quality of service while reducing cost. In fact, viable models for alternative education structures exist with schools such as FLVS, WGU, and others. With these structures, a competency based virtually delivered education model has been built such that all aspects of the education system can be improved. In addition, these models can take advantage of economies of scale in a way not possible for the current structure. Impediments to Progress:Assuming all players have the best interests of the students in mind (a good assumption), what are the impediments to progress?In any large bureaucratic system, the elements of the system never want to change. In this context, teachers, like all human beings, are resistant to change. For most veteran teachers, the incremental cost of teaching a class using the method next year is fairly low. Teaching the class in a new manner incurs a large incremental cost. Thus, there is no incentive to make this investment at the local level. In addition, education is the rare profession where people enter the profession because of their good experiences as a child. Thus, they reinforce a backward looking structure because this is the reason they entered the profession. This is unique to education. Similarly, administrators are resistant to change and structures such as unions freeze the current processes by building contract structures around them. We observe that this is no different than any industry. After all, Sears really did not want to change. Rather, the core question is what form of change needs to take place and how does one enable its creation. The nature of the impediments to structural change can be placed in three categories: role of teachers, role of school administration, and certification/funding. Role of Teachers: The "craftsman" model is the current "gold standard." This is a model where the quality/cost are totally determined by the individual teacher. Thus, there is great variability in quality and cost is tied explicitly to individuals. The fundamental shift which needs to occur is a movement of role of teachers from the owner of the classroom to being part of a coordinated team which is part of the solution. In this evolution of the teaching model, there is a great deal of process IP, instruction IP, specialized resources, and in fact, different types of teachers involved. Through automation, teachers can enable mass customization connected to the uniqueness of students. This is a massive shift in role for teachers. Role of School Administration: Currently, the school administration which owns the academic function also owns facilities, cafeteria services, athletic services, and security. This structure builds a stack of capabilities which effectively covers up the warts on the academic function side. As an example, the realistic alternative for most parents is to home school their children, yet with this approach, they incur the added costs of providing these other services. This is the same choice presented to a charter school which has to build a full stack of capabilities. Currently, this is not a level playing field for the alternatives. Certification/Funding: Whether it is the local school board or the federal government, nearly all the current funding sources for education are based on concepts such as course hours (not competence) and semesters (based on an outdated agrarian calendar.). Funding should be tied to competence and an independent certification structure is required to enable both funding and alternative models of delivery.Policy Proposals and Analysis:We propose three simple bedrock policy principles which over time will enable better outcomes for students, teachers, and parents. These are focused on funding, certification, and facilities. Starting with the topic of facilities management, today, school buildings management, cafeteria operation, security are all managed by academic administration. This does not make much sense at two levels. First and most importantly, it ties one and only one academic function to the physical assets of the school. Also, traditional educators have no training in these other matters. Let us imagine a different decomposition with a facilities management function which is explicitly separated from the academic function and operates independently. The facilities function offers all the physically connected services such as security, athletics, cafeteria services, IT, transportation, and more. The current academic function simply rents space from the physical assets much like a company leases space from a commercial real estate company. The decomposition has several important properties:A professional facilities function is much more capable of handling the core issues such as security and can focus on the optimal utilization of these assets.The facilities function can rent to multiple academic players..including other charter schools as well as virtual schools desiring local physical access. The facilities function can optimize utilization of space with usage from purposes ranging from corporate training to parks/recreation. Most importantly, this decomposition flattens the playing field and enables a great deal of freedom for a competitive marketplace. Examples include:Imagine a situation where home school parents can drop off kids at the local school into a room full of computers. Security, Cafeteria services, and perhaps a bit of general coaching is provided by the facilities mgmt function.Imagine cultural and racial tensions being reduced because African American parents can have access to top-flight k-12 education developed and delivered by places such as Moorhouse College.Imagine the world’s best schools enabled at delivering their capabilities to every american parent. Enabling this marketplace of alternatives is critical to build a process which can change or replace the current educational system. It can also do so at a rate commensurate with the value perceived by students and their parents. To further enable this marketplace, an independent certification structure must be built. For students, this structure must focus on competence independent of method of delivery. For schools, it must focus on outcome based metrics which allow parents/students to make informed choices for alternatives. Finally, the funding must follow the student. Conclusions:K-12 education is a large and important part of the American educational system. Currently, the system has very fixed (even frozen) process to deliver education services which are then enabled by funding, certification, and unionization. These forces have been created a Gordian knot which has not allowed the system to progress in terms of absorbing innovation and technology. In terms of policy, three specific policy imperatives around funding, certification, and facilities management were proposed. The purpose of these policy statements is to enable an academic services marketplace, enable true student choice, and optimization of local physical resources. Finally, we observe that Gov Jeb Bush’s foundation, Foundation for Excellence, is the closest in advocating policy changes aligned with this point-of-view. BiographyRahul has over 25 years experience in startups, academia, and Fortune 500 companies. In academia, he has worked in areas such as STEM education, Autonomous Vehicle Technology, and SemiConductor Design. He has successfully led a number of startups (WiPower, PwrLite, Ocoos) and held senior corporate roles at Cadence and DEC (HP now). He has authored numerous technical papers, is named on over 24 issued patents, and has a Ph.D. from Harvard University (M.S./B.S. from Carnegie Mellon University). He is the CEO of Next Gen Education (nextgenedu.net).